First, let me just apologize for the horrible pictures in this post. All I had on hand was my dinky point-and-shoot and all its weak digital macro glory. I tried to salvage the images in Paint.NET and it was a painful reminder that I’m so spoiled by the digital SLR. Today was special because one of my sister’s took the day off work to drive up and visit my mom and utilize free babysitting to sneak in a little shopping. I met her, my mom and three very active kids at Whole Foods for lunch today for a Kombucha and a huge salad. After work, we had an impromptu dinner party at my mom’s house, my other sister showed up since her hubby was working late and it was a laid back girl’s evening … plus three kids. Four adults and 3 hyper kids packed into my mom’s tiny town home, it was tight seating! 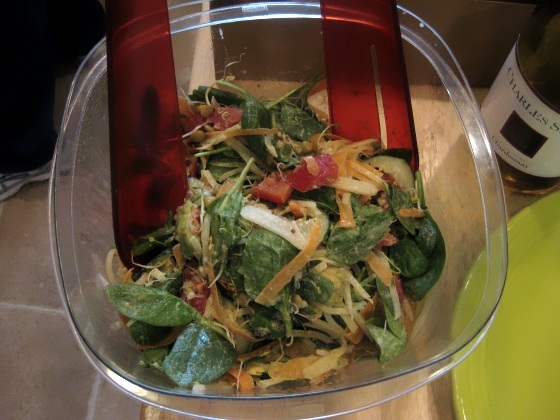 I had plenty of leftover salad from last night to bring to the party. 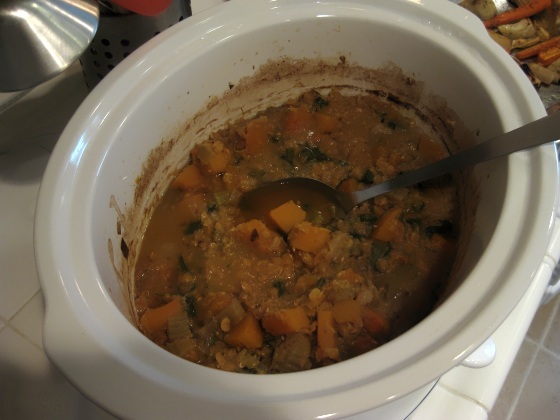 We also had a great lentil butternut dish my mom threw together in her slow cooker. 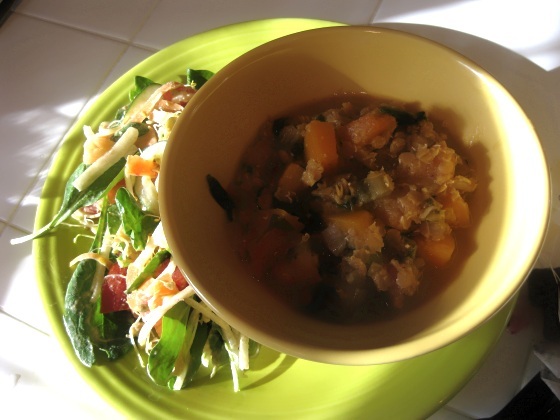 My vegan dinner wasn’t too shabby, I can say the salad was just as good the second night and lentil dish hit the spot on a chilly evening. But my mom had nothing for dessert to serve my nieces and nephew and they were getting cranky after a long day. I raided her freezer and found a huge bag of frozen bananas and a bag of frozen organic blueberries. 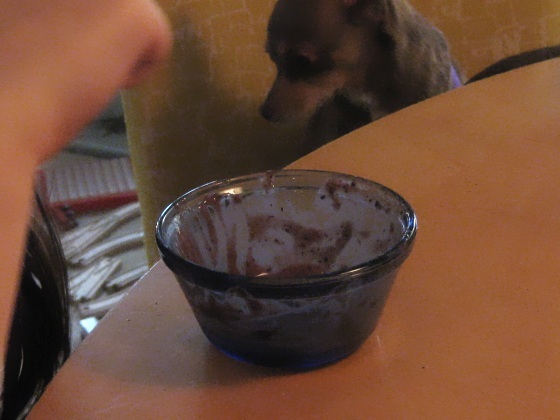 I dumped both into her food processor and ran it until we had creamy soft serve, about 5 minutes. 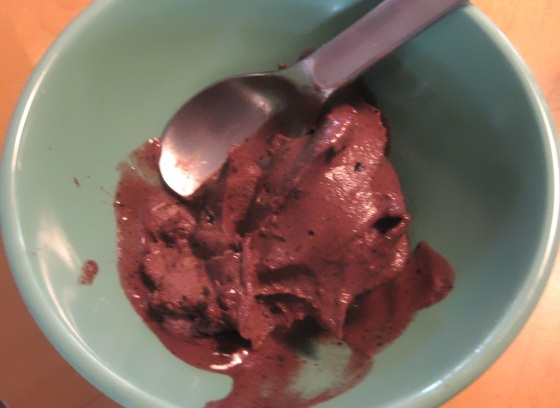 Then I shoveled in some carob powder (she didn’t have raw cacao, oh well) and ran it for another minute or so to create chocolate banana blueberry softserve. It actually came out very good considering I didn’t add any sweetener, the bananas and blueberries were enough. 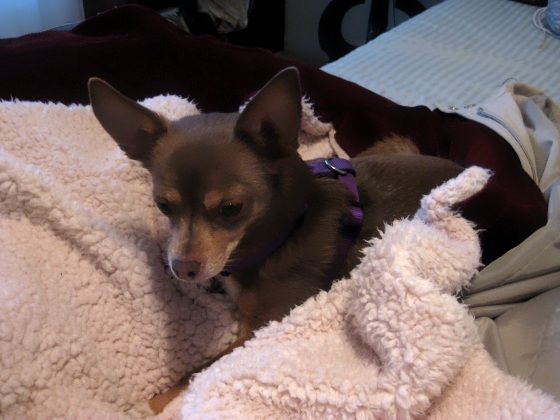 A rich berry dark chocolate treat. But it was a great day, it’s very rare both my sisters and mom are available to have dinner together. Now I’m wiped! Looking forward to the new Big Bang Theory on the DVR then bed! What a great day! And wow, you’re impressive, you pulled a rabbit out of your hat for breakfast! I’ve been eating a “soft serve” for breakfast this week and loving it. Great go to, isn’t it? So glad you enjoyed family time! 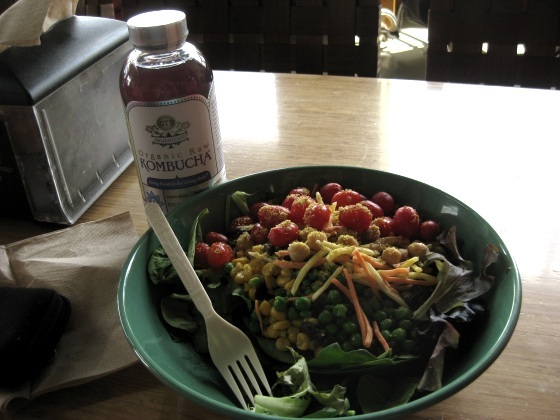 kombucha and a salad is my fave whole foods treat! 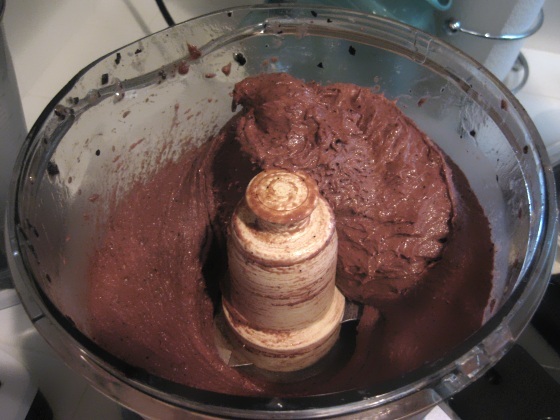 i love making banana blueberry softserve too. glad the kids liked it. Sounds like a day full of great company and great eats! Now that is my kind of day!!! 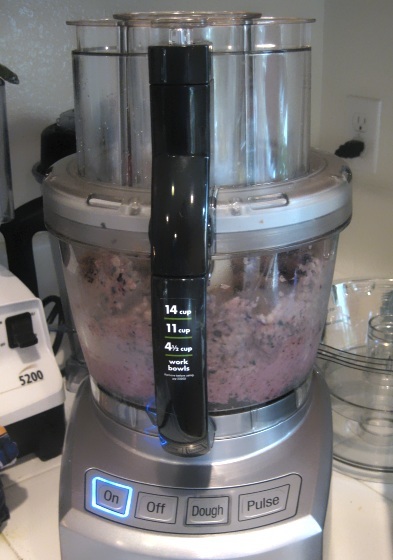 Great mix with the berries and carob, Looks delicious. Reminds me a lot of Acai. I had a crock pot meal last night too! No soft serve, sadly. I’ll take yours any day!